I need to buy a sponge (I want to try my hand at positive sponging), but when I looked online, they all look so different! 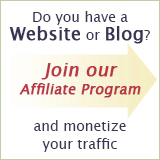 The prices range drastically not only with the size, but also with the texture; how should I choose? 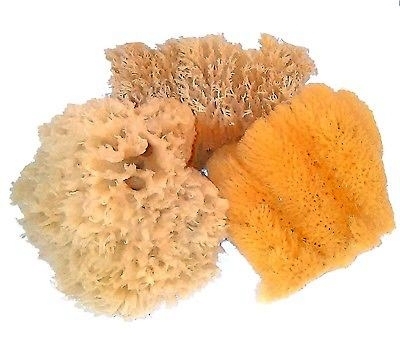 In paint decorating, three types of natural sea sponges are commonly used: wool, grass and cultured. These sponges were once living sea creatures, and each is unique, so it pays to select them carefully. 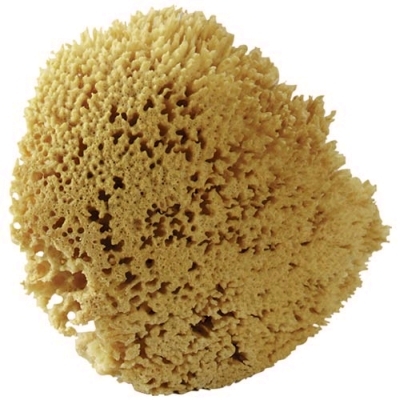 Sponges do vary in size, shape and price. The price is usually based on the size and type of sponge, but don't let the price fool you. For example, a large wool sponge might be uneven in texture, while a large grass sponge could be fairly soft and uniform. When shopping, you should look for sponges that are consistent in texture - they provide more usable surface area. 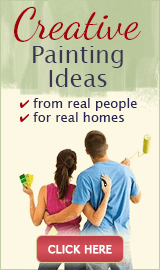 In addition, select large sponges, since they cover more area and will speed up your painting projects. 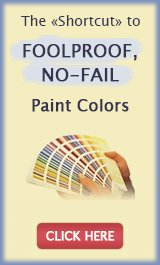 Each type of sponge is appropriate for certain effects, so be sure to select the one that is best suited to your faux finishing project. Wool Sponges are soft and relatively uniform in nature, with pores radiating from a central point. Because of their consistent texture, they have a high percentage of usable surface area, and their softness makes them superior blending tools (for colorwashing, etc). Wool sponges tend to cost two to three times as much as comparably sized grass and cultured sponges, but their versatility makes them worth the extra money. Grass sponges are also soft, and they're more oval in shape than wool sponges. The surface of a grass sponge has a nap formed by hairs growing in one direction. These hairs will leave a discernable, repetitive pattern, which could be a problem if a random, organic texture is desired. Also, these hairs become matted easily, requiring frequent washing. On the plus side, grass sponges are significantly less expensive than wool sponges and are fine for small projects. It's also possible to find grass sponges that are relatively large, uniform, and short napped; such sponges are suitable for large projects. 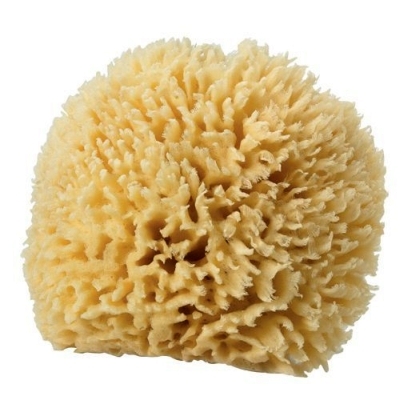 Cultured sponges are used less frequently than grass or wool ones for creation of faux textured surfaces. But they possess qualities that make them useful for some effects. These sponges are similar in shape to wool sponges, but they're usually a bit darker in tone and have a finer pore structure. 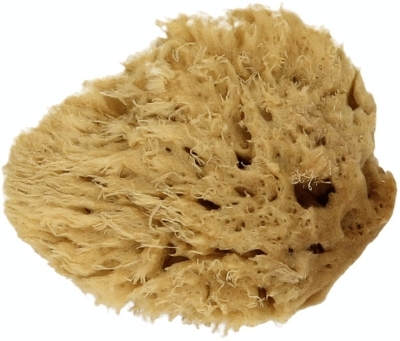 Cultured sponges tend to be stiffer than wool or grass sponges, which makes them less desirable as blending tools. Their resilience when wet makes them good choices for creating stippling effects, and they are quite useful for replicating some granite textures.